Whooo-eeee! We’re totally diggin’ this wine! It clearly says “I’m from California” but it also possesses an old-world aesthetic. 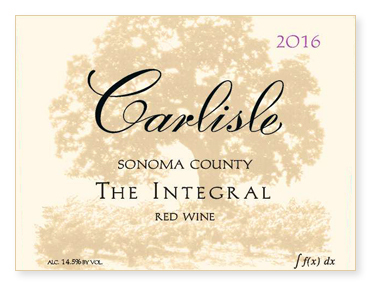 Composed of 53% Syrah and 47% Mourvèdre, both varieties were picked simultaneously on October 1st. The Mourvèdre was added to tank first, completely as whole cluster, while the Syrah was fully destemmed and added on top. Twenty-eight days on the skins. Nineteen percent new French oak. Bottled unfined, unfiltered and un-freakin’-believably delicious. Medium-dark to dark ruby-purple. A highly perfumed bouquet of smoked meats, mulberry, black olive, and spring flowers. I could sniff this all day! On the palate, medium-full bodied with flavors of black fruits, earth, and savory spice. Finishes quite long with authoritative but polished tannins. I love this wine now for the aromatic fireworks but believe its best lies ahead. Enjoy from 2023 to 2033.